Do you find the better way to analyze the performance of your marketing strategy? Start using Predictive Marketing. Have you ever recognized the importance of Predictive Marketing? Do you want to buzz your brand in the market? Then collaborate with the Predictive Marketing. Just it is the technique which is used to analyze the data analytics that helps to sketch the activities and strategies that are draining ultimate success and which are being inactive to down the performance. It is difficult for the marketers to predict which marketing strategies will be successful and which are going to fail. Taking the help of data science to predict these things and making smarter marketing decisions is called predictive marketing. The predictions are made using maths, statistics, machine learning and data mining. Favorite online stores like Amazon, social networks such as Facebook and many others popularized predictive marketing and are using algorithms to increase the efficiency of their advertising and improve their sales figures. Predictive Marketing uses analytics methodologies and understands the behavior of the customers and predicts their future response. 39% real-time insights, especially for the business, have been generated by Predictive Marketing. Predictive marketing solutions can deliver email recommendations to consumers based on their past shopping history. Email recommendations can be sent to other types such as post-purchase campaigns, abandoned cart campaigns, etc. Web recommendations are another type of predictive marketing solution. Predictive analytics place recommended products or things purchased together etc. based on the behavior of the consumer when he visits an online store. The mobile recommendation is another type of the predictive analytic solutions. Customers are using their mobile phones for online shopping, and so it has become necessary to evaluate and deliver predictive insights and recommendation via mobile apps. What is Predictive Marketing to the Marketer? Predictive marketing gives the marketer the certainty that his marketing strategies are going to work for him. It lets the marketer know the relationship between the customer and the brand and what makes them engaged to the brand. The marketers then take decisions on their marketing tactics and provide the experience that the customers like to want. Consumers are tech-savvy now, and there are many options for them with the new avenues and channels available. 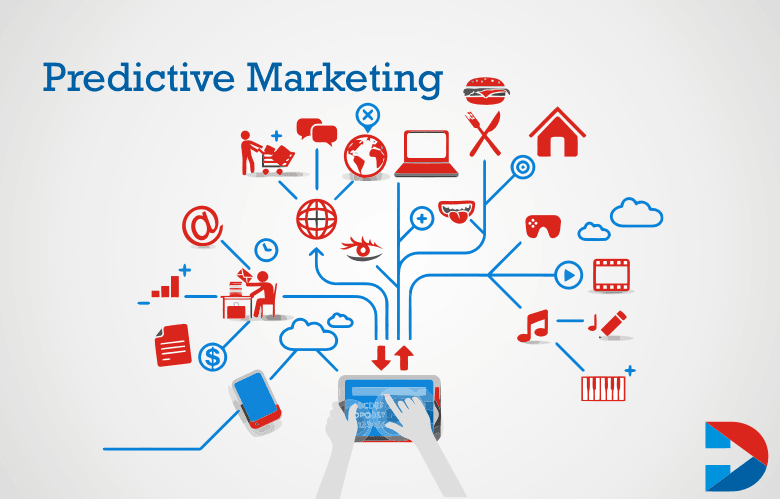 Predictive technology gives the marketers all the necessary tools to personalize the marketing strategy and keep up with the changes in marketing and how to engage the consumers. When personalized messages are sent using predictive technology, consumers are more likely to respond, and this can increase revenue and ROI. Treating every customer individually, they will be loyal to the brands and an improved customer experience will make them repeat customers. Predictive solutions make use of the customer data and create personalized customer experience which will positively affect the customer. The personalized shopping experience will also encourage the customers to share their data. 80% of leads are generated through Predictive Marketing sales. Is Predictive Marketing Essential for Marketing Strategy? Today’s customers want to have a fantastic experience with the brand they like. It provides an opportunity for businesses to know more about their existing customers. Though this concept is not new, it is now readily manageable. Earlier it took weeks or months to get the data, analyze it and predict it. The marketers are now able to access more data from different sources which led to the boom in predictive marketing. There are various tools for predictive marketing. Some of them include Lattice, Infer.com, Fliptop, InsideSales.com, C9, DxContinuum and other. Some of these predict scoring of leads on top of the sales funnel and some the later stages. There are other tools such as Bluenose analytics, Gainsight, Preact that help the marketers by providing the prediction of which customer is likely to drop away and which customer is expected to come back. This prediction is getting after a sale is successfully closed.Predictive tools work. Differently, they address different stages of customer cycle. These gather the data of the customer from different sources, consolidate it, store it as database and run predictive models. Marketing software systems of present-day use two different kinds of data – the information of private behavior of leads and customers and the information of points and companies that they represent. Customer relationship management, email marketing systems, customer service platforms, invoicing systems and others are the places from where internal behavior information gathering. External information includes the employee count, web presence, social media presence, trademarks, patents and others. In-house data crawlers and third-party data providers provide the external signals. SmartZip Analytics has obtained $22.1 million by generating leads to other brands through Predictive Marketing. Companies and marketers are now able to access data-driven tools. 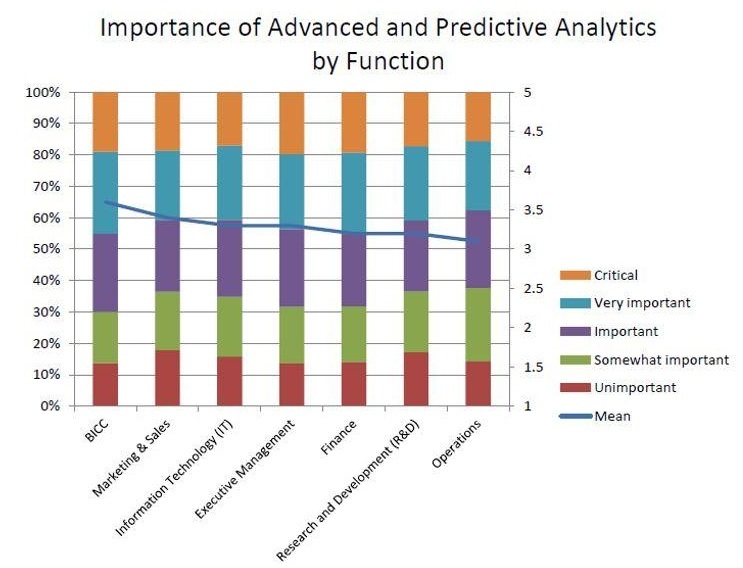 Predictive tools are being used to make predictions about their customer behaviors. Marketers are now able to know how the purchases are going on, how much the customer is ready to spend, based on their previous behavior. Predictive marketing offers many benefits. The insights into customer behaviors help to improve customer engagement. The marketers can gain sophisticated segmentation of data, and create campaigns and identify to target the customers better. All this will help in utilizing the marketing budgets much better and increase revenue. How to Use Predictive Marketing? Before actually leveraging predictive marketing recommendations, every brand must understand what the technology is all about and its ability to impact a brand. Let us now see how to incorporate this technology into daily marketing. Personalized recommendations sent to customers based on their previous shopping behavior. Enhanced shopping experience provided to the customers with changes and updations. Email campaigns optimized for getting maximum conversions. Predictive marketing is proved to deliver better results. According to studies, the predictive marketing efforts will lead to increase in return on investment. Predictive solutions make it easy to get into the personalized marketing strategy. 43% advanced analytics have been enhanced by Artificial Intelligence Marketing. Artificial intelligence is the rage now, and the latest technology is being used by every industry now, marketing technology is no different. Artificial intelligence marketing is the form of direct marketing in which the artificial intelligence concept and machine learning and other models are using. The solutions offered by AI bridges the gap between the execution and the data science. Big data and the analytic solutions are now used for marketers to identify their target audience more clearly. With artificial intelligence, the marketers are also now able to boost the performance of their marketing campaigns and increase ROI. There are different elements in Artificial Intelligence marketing. 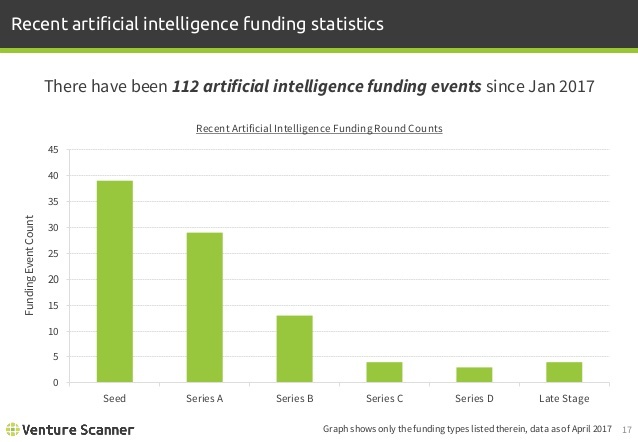 These include the big data and machine learning. The concept o big data helps the marketers to ensure that the right marketing message is being delivering to right audience at the right time. Machine learning platforms are helpful for marketers to analyze the data, identify the trends, predict insights, and understand the responses and reactions. Artificial Intelligence offers many benefits for the marketers. Online advertisements can be made more efficient with the usage of AI which allows identifying the potential consumers and delivers relevant content to them. With the combination of machine learning and AI, there is very little that marketers cannot achieve. Artificial intelligence is also going to play a significant role in customer service and retention. AI bots allow access to information of consumers; search histories etc. and can make them more efficient. Artificial Intelligence also can be used to uncover the insights, incorporate them into new campaigns, and target only the relevant users. AI is going to be more intelligent in future and is going to be more efficient in increasing conversion, promoting decision making, etc. 85% of customer communication is going to organized only through Artificial intelligence. Data analysis has become very important for businesses. The free and paid data analytics tools help to enhance business. These tools help the user to manage and interpret data effectively. Excel is a nonprogramming data analysis tool that is an indispensable part of analytics. Summarizing, visualizing data, data wrangling and other features are supporting. Trifecta wrangler tool has incredible features such as chart recommendations. Tableau Public is a simple and powerful data analytics tool for business needs. A free trial is available. OpenRefine gets everything ready for data analysis. 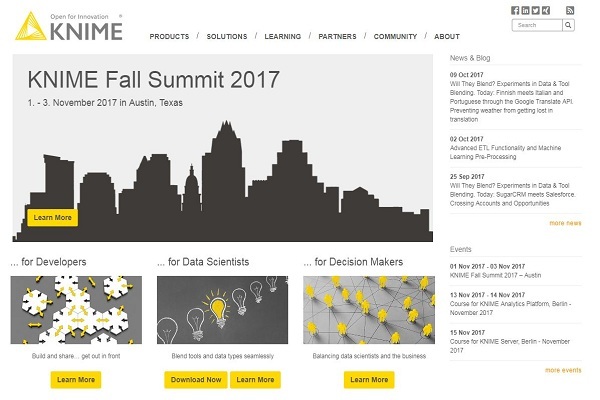 Knime tool is used to analyze, manipulate and model data through visual programming. RapidMiner can manipulate and analyze data. It also operates through visual programming. Google Fusion Tables is a vital tool for data analysis. NodeXL is another data analysis and visualization tool that provides exact calculations. Import.io can analyze data from websites and forums. Google Search Operators is powerful and allows quickly filtering Google results and get most relevant information. Solver data analysis tool in excel and it allows the user to set constraints. Rapid Miner is an excellent tool for advanced analytics. Rapid Miner is also a data cleaning tool. 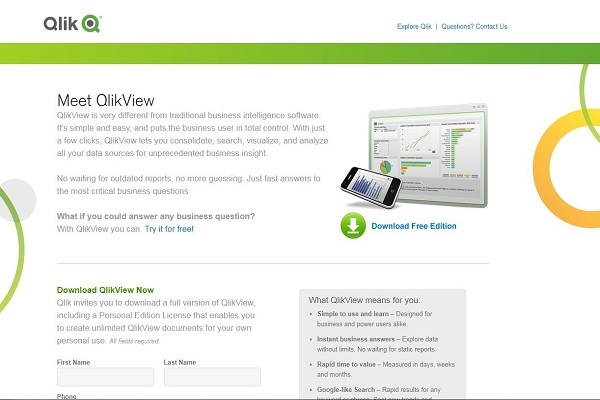 QlikView is one of the most popular tools around the world. It explores and gives insights. Weka is very easy to learn the tool. There are options for data pre-processing, clustering, and visualization. Orange has a classification, regression and clustering method tasks. Users can understand the data more closely. Data Wrapper does not need any software installation and is lighting fast visualization software. Data science studio (DSS) is a tool available in coding and noncoding segments. It is capable of creating smart data applications and solve real-world problems. Talend helps in exploring data and support decision making or managers and professionals. This collaboration tools can transform, visualize and clean data. Data preparatory is built on Java and helps in data exploration, analysis, etc. Data preparatory is simple to understand and work. 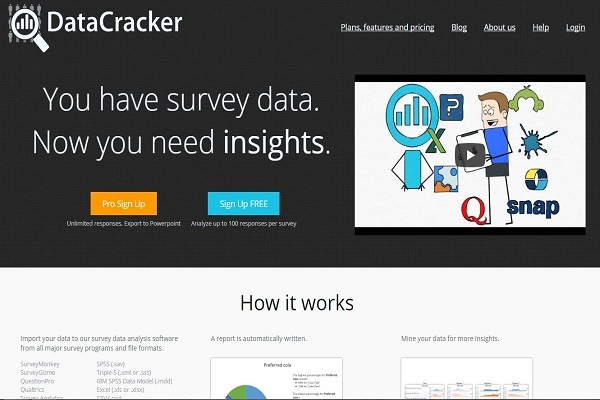 DataCracker can load data from various internet survey programs. The interactive features of this tools help to understand the data. Data Applied tool used for designing and sharing data analysis reports. Tanagra project is free data mining software. It is an open source project and has old fashioned UI. H2o is one of the favorite data analytics software. H2o also is used in building advanced machine learning models. Data Kleener is another tool that gets the data ready for data analysis. A lot of time can be saved as the data is cleaned automatically while it is being uploaded. DataLadder offers data matching, profiling, duplication and enrichment of data. It is a powerful and user-friendly software. 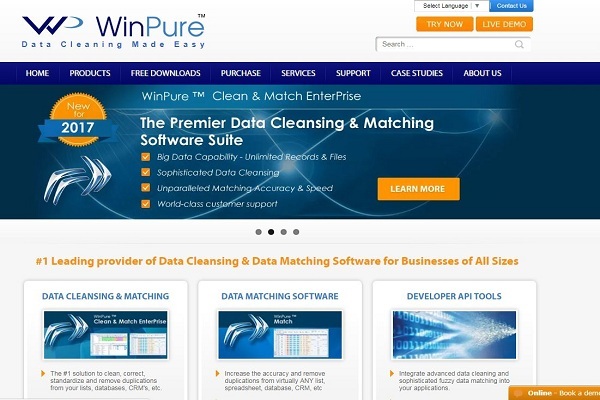 WinPure fixes data quality issues within no time. It is super fast and matches the data accurately. Wolfram Alpha is an online data analysis tool designed by Stephen Wolfram. It provides information charts, graphs, etc. for businesses. 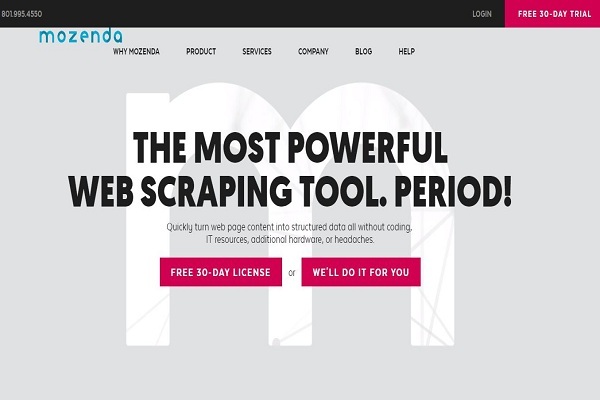 Datawrapper is a data visualization. It helps in making interactive charts. OpenText is a sentiment analysis module. The analysis performed at different levels such as topic, sentence, and documents. Semantria tool gathers texts, tweets, and comments and analyzes them to give valuable insights. Octoprase is a data extraction tool. It can collect any data from any website. Pentaho simplified preparing and blending data and analyze, visualizing, exploring and reporting tools. Weka is open source software for data mining tasks. Weka is developed in Java. Gephi is another analysis and visualization open source software. Infogram is a data visualization tool that offers interactive charts and maps to visualize data. Trackur is a sentiment analysis tool and can monitor social media and other news to get executive insights through trends. Opinion Crawl is another sentiment analysis tool for products, events, and people. Content Grabber is a data extraction tool that collects content from websites and saves in the format of either excel reports/XML or CSV. Parsehub is another data collection tools and can read, analyze and transform documents into data. Mozenda has useful features for data extraction. The extracted data can be uploaded to cloud storage. Dundas BI is business intelligence and data visualization platform for reporting tools, data analytics, etc. Domo is a cloud-based management suite that comes integrated with data sources, databases and other solutions. SiSense has powerful data visualization tools to manage and support data. IntelliFront BI’s functionalities include online analytical processing, standalone query, and automated report scheduling. Board is a centralized tool to keep data and conduct an analysis. Sage Live is also a web-based accenting platform whose features include data visualization. 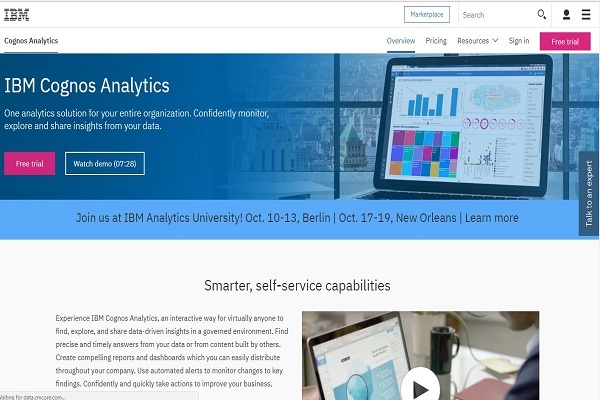 IBM Cognos Analytics helps to get useful information and insights from raw data of any significant size. Halo is an end to end supply chain management and BI platform. It forms cumulative view from the data collected from all sources. Style Intelligence software features include visual analysis, creating dashboards, etc. Birst is an analytic solution tool that gets data from various teams and helps in making decisions. Many online data analysis tools make analysis easier. There are open source data analytic tools that can give you advantages similar to knowing predictive modeling programming. The above mentioned are some of the top data analytical tools available for free and also for a price. After the Implementation of this marketing strategy, you will frame the required to plan for the development of the brand that precisely reaches the targeted customers. Boost up your thinking capacity while making decisions to launch the advanced strategy.